So I missed the Briery wood hotel cake competition when it was on last September as was away on holiday. So I was pleased when they announced they were hosting another one in June. It was in aid of Alice Escapes so a very worthy cause. The theme was lakes and mountains and racked my brain as to what to make. So I thought I would make a bownessie. It was finding something simple to make that I could squeeze into my busy days. The cake would have to be my famous chocolate brownies! So brownies made, it was time to construct….this was fun and was really pleased with my cute bownessie I had created!! So my masterpiece dropped off in the safe hands of Roger the hotel manager. It was the patient wait whilst the judges did their stuff! 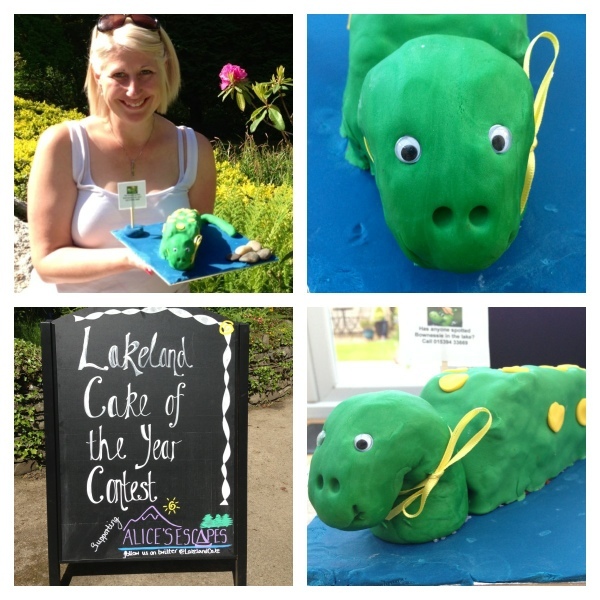 So I didn’t win but my cake got top marks for taste and cuteness, lots of the judges went back for seconds! Poor Bownessie was mutilated!